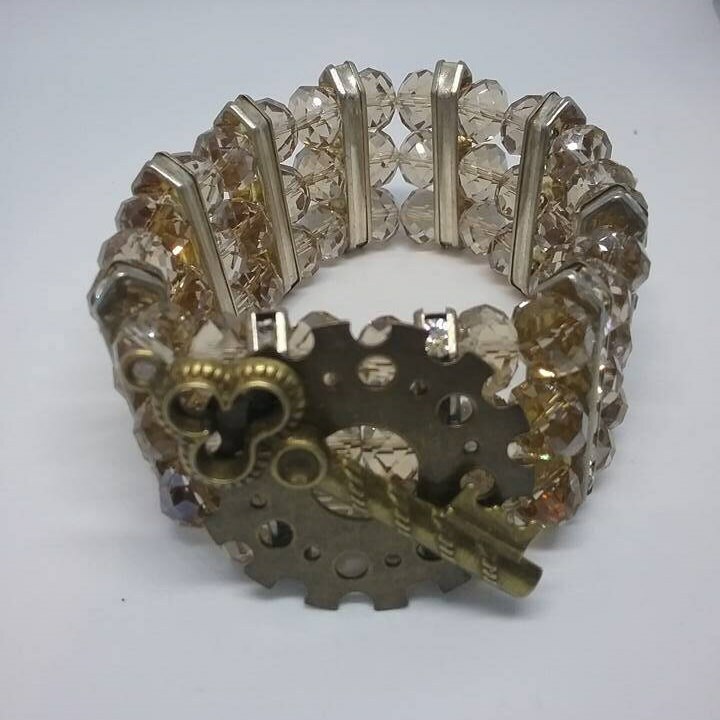 Steampunk Beaded Stretch Cuff, Gear and Key. 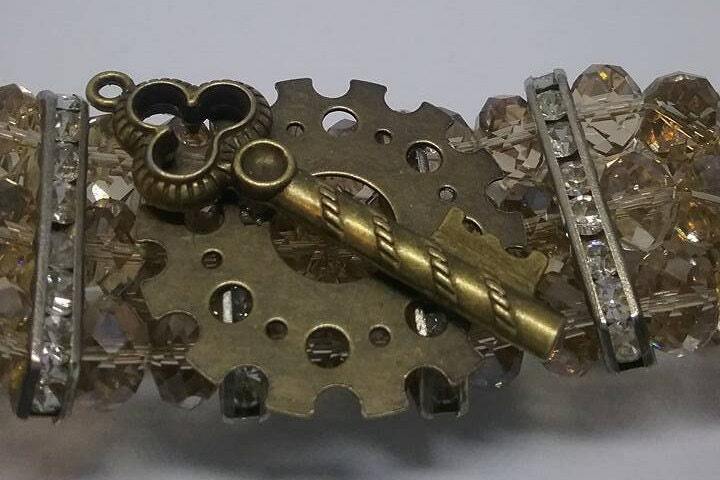 Crystal and diamond-like cuff is topped off with a gear and key pendant. One-of-a-kind. 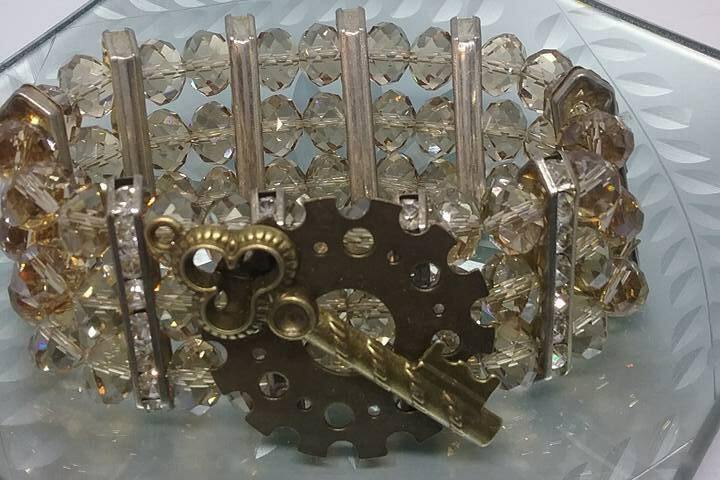 Steampunk stretch cuff, makes a lovely gift for the lady on your list.